Marcel Duchamp famously championed a “non-retinal” visual art, rejecting judgments of taste and beauty. 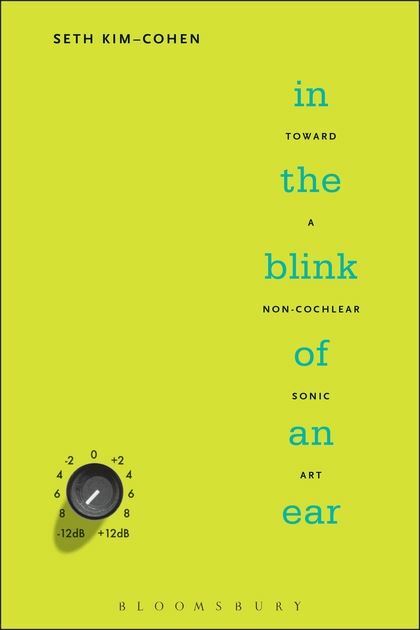 In the Blink of an Ear is the first book to ask why the sonic arts did not experience a parallel turn toward a non-cochlear sonic art, imagined as both a response and a complement to Duchamp’s conceptualism. Rather than treat sound art as an artistic practice unto itself-or as the unwanted child of music-artist and theorist Seth Kim-Cohen relates the post-War sonic arts to contemporaneous movements in the gallery arts. Applying key ideas from poststructuralism, deconstruction, and art history, In the Blink of an Ear suggests that the sonic arts have been subject to the same cultural pressures that have shaped minimalism, conceptualism, appropriation, and relational aesthetics. Sonic practice and theory have downplayed – or, in many cases, completely rejected – the de-formalization of the artwork and its simultaneous animation in the conceptual realm. Starting in 1948, the simultaneous examples of John Cage and Pierre Schaeffer initiated a sonic theory-in-practice, fusing clement Greenberg’s media-specificity with a phenomenological emphasis on perception. 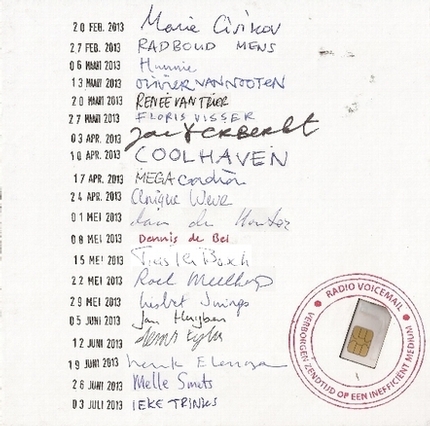 Subsequently, the “sound-in-itself” tendency has become the dominant paradigm for the production and reception of sound art. Engaged with critical texts by Jacques Derrida, Rosalind Krauss, Friedrich Kittler, Jean François Lyotard, and Jacques Attali, among others, Seth Kim-Cohen convincingly argues for a reassessment of the short history of sound art, rejecting sound-in-itself in favor of a reading of sound’s expanded situation and its uncontainable textuality. George Brecht / John Cage / Janet Cardiff / Marcel Duchamp / Bob Dylan / Valie Export / Luc Ferrari / Jarrod Fowler / Jacob Kirkegaard / Alvin Lucier / Robert Morris / Muddy Waters/ John Oswald / Marina Rosenfeld / Pierre Schaeffer / Stephen Vitiello / La Monte Young. Tags: Art Theory, Sound Art.